The history of the well-known company Yamaha dates back to 1887, the year Yamaha was founded by Torakusu Yamaha in Japan. The product range includes articles from the areas of electronics, HIFI and musical instruments. The “Yamaha Motor Corporation” is a subsidiary company (founded in 1955). This corporation manufactures motorcycles, quads, engines etc. The new Yamaha mid-mounted electric bike engines became a real competition for the successful Bosch electric bike drive systems. The first Yamaha mid-mounted engine was already introduced onto the market in the year 1993 (!). Especially in Asia, Yamaha electric bike drive systems are very popular. In 2014, Yamaha released a new mid-mounted engine drive system called “Next generation”. These drive systems are being used in, for example, GIANT E Bikes (Full-series, Prime & Explore series). The new Yamaha engines belong to the best electric bike drive systems on the market. They represent a genuine alternative to comparable Bosch engines. - Small and compact, but very powerful. - Maximum torque: 60-80 Nm. - Very lightweight (about 3,5 kg). The Yamaha Next Generation E Bike engines are based on a 4 sensor technology (pedal frequency, power, engine speed, speed sensor). The associated battery (400 Wh) is much more powerful than its predecessor. This powerful drive system has been brought onto the market in 2017. It was especially developed for the use in E-Mountain Bikes. Something very interesting about this drive system is a fifth support mode (“Extra Power Mode”), which is optimized for steep ascents. The reaction behaviour has been improved, too. The power has been raised to 80 Nm. In comparison to the Yamaha PW drive system, the engine support is much more subtle. The weight of the engine has been reduced from 3,5 to 3,1 kg. Another new feature is a powerful 500 Wh battery. By the way: The electric bike manufacturer GIANT also uses the PW-X mid-mounted engines, but calls the system “SyncDrive Pro”, because it has been equipped with a special software developed by GIANT. The torque is 80 Nm, too. The performance has also been slightly increased – as a result, in the “Power” mode the support now reaches up to 360%. Even the weight and the measurements have been slightly reduced (in comparison to Yamaha PW-X). GIANT SyncDrive Pro comes with the powerful 500 Wh battery, too (however, older models can be upgraded with this battery, too). The compact Yamaha SyncDrive mid-mounted engine has a capacity of 250 W and a powerful maximum torque of 70 Nm. What´s so special about this system is the so-called “Zero Cadence Support” – that means, the engine supports from the first crank turn, without any delay. Another advantage of this system is that the engine with crank set can be combined with a double chain ring, which enables you to ride with a higher pedal frequency on gradients. The system has got 4 support modes. In most cases, the Yamaha SyncDrive system is equipped with a 400 Wh battery. By the way: The established SyncDrive drive system, which is being used in GIANT Full-E+ bikes, still exists – but now under the new designation “SyncDrive Sport”. 3 Is it possible to optimize / tune Yamaha engines? Yes! In the meantime there are at least six recommendable tuning tools which you can use to tune Yamaha electric bike engines to make them much faster. There are tuning tools for all Yamaha drive systems available: Powerdrive / SyncDrive / PW-X. 4 Which Yamaha Tuning Tools do exist? We want to present you some really good Yamaha electric bike tuning Products – for example, the new BluePed module, the Badassebikes Chiptuning Box and the Sx2 Dongle. 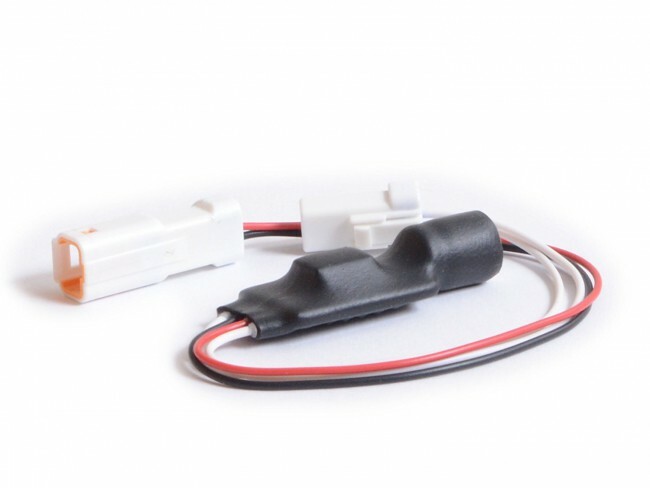 The GreenPed module is a variant of the popular BluePed module, but GreenPed is especially manufactured for electric bikes powered by Yamaha Syncdrive systems (which are being used in GIANT electric bikes). This tuning tool can be conveniently controlled with a free Smartphone App (Android & iPhone). The device allows you to set the maximum engine support to an individual level from 15 up to 75 km/h (about 46 mph). Thanks to the App this tuning tool offers an unusually large number of configuration options. Your Yamaha display will still show the correct speed – but if you use the App, your Smartphone display can even show you many more parameters than your normal Yamaha display. To make sure you can always keep a close eye on your Smartphone display while you are biking, the GreenPed comes optional with a special FINN Smartphone-holder for your bicycle handlebar. By the way, you can activate / deactivate the GreenPed module conveniently via your electric bike´s light button – that means, you don´t have to take your Smartphone necessarily with you if you want to use your electric bike. The installation of the GreenPed tool is very easy - all tools needed are included in the scope of delivery. Compatible with Yamaha Syncdrive (with RideControl EVO or CHARGE Displays). This tuning tool removes the speed limitation of Yamaha E Bikes with mid-mounted engines completely (suitable for PW, PW-SE & PW-X drives). Important: This module is delivered in the form of a kit, which you have to assemble yourself. Since a soldering iron must also be used when assembling, a little bit of manual skill is required. On the other hand, connecting the module to the electric bike drive system is absolutely simple. After installation, you can easily activate the sIMPLEk tuning tool by turning your E Bike off and on again within 10 seconds after starting it. When the tuning is activated, the real speed is still visible on the E Bike display, but via the second digit and the decimal place of the speed indicator (for example, a speed display of 14.2 km/h would actually correspond to a speed of 42 km/h, etc.). Made in Germany. 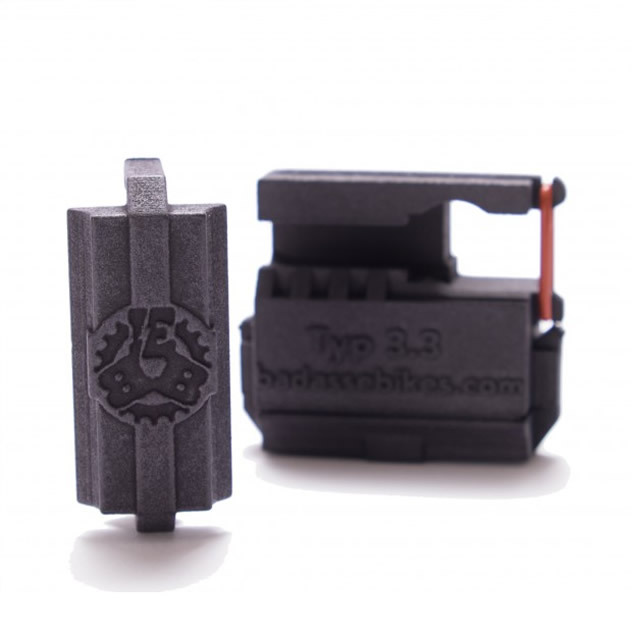 This version of the SpeedBox 2 tuning module is compatible with E Bikes with Yamaha PW-X 2019 or PW-SE 2019 drive systems equipped with the new display versions "A" or "C" (suitable connectors are included). The tool completely removes the speed limitation which allows you to get the full power out of your Yamaha engine and to drive much faster with full motor support. Even when the tuning is active, the display shows all data correctly (current speed, range, etc.). You can switch on the module at any time simply by pressing the light button. Simple and intuitive installation. By removing the SpeedBox you can easily restore your E Bike´s original driving characteristics. 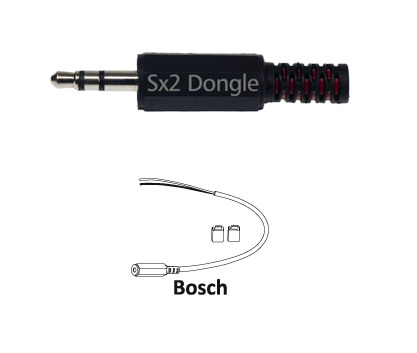 A recommendable tuning tool for Yamaha PW-X & PW-SE mid-mounted engines. Even if the tuning is activated, the display still shows correct speed and km. Since the SpeedChip is equipped with an USB interface, it can be conveniently configured via PC (windows 7-10). For example, the maximum engine support can be set individually (50 or 75 km/h). The tuning can be easily switched on or off via the buttons of the E Bike (activation sequence can be individually personalised via PC). By removing the SpeedChip, the E Bike can be restored to its original condition at any time. Made in Germany. The Tuning SpeedChip has a micro-USB interface so that it can be configured via PC (Windows 7-10). This enables you to set the key combination for activation / deactivation and the height of the maximum motor support individually (50 or 70 km/h). You can switch the tuning on or off at any time using the buttons on the electric bike (even while riding). Even when tuning is active, the display shows the real speed and the actual number of kilometres driven. Since only original connectors are used, installation is simple and uncomplicated. You can update the chip when it is installed, it does not have to be removed. Of course, the chip can be removed at any time and the E Bike can be restored to its original condition. Suitable for all Yamaha PW mid-mounted engines 2014-2017 and both display versions 2014-2015 (with temperature display) and 2016-2017 (EcoPlus mode, without temperature display). You can use this recommended tuning module to optimize your Yamaha PW electric bike in many different ways. Increase the maximum motor support to an individual value between 25 to 99 km/h or additionally activate the so-called "dynamic mode", which reduces the unpopular "wall" effect when the maximum supported speed is reached (in the dynamic mode, the motor support does not stop so abruptly anymore). Even when the tuning box is activated, the correct speed will still be displayed. A big advantage is that you can define all tuning settings conveniently via the control buttons at your display. The module can also be switched on or off at any time using these buttons. By the way, after the (simple) installation, the tuning box can´t be seen from the outside. This is probably the most comprehensive tuning module for Yamaha E Bikes ever. This tuning tool has the advantage that the settings can easily be made with a smartphone app. For example, you can set the maximum motor support to an individual value between 15 and 75 km/h. Another advantage is that up to 25 useful live parameters can be displayed on the smartphone display while you are riding. You can switch the RedPed module on and off with a self-defined activation code via the E Bike´s control buttons, completely without a smartphone. Your E Bike display will show the correct values, even when the tuning is activated (actual speed etc.). In principle, you only need the smartphone to define the tuning settings once. Thanks to its numerous functions and extensive data on the smartphone display, RedPed is a perfect tuning tool. Compatible with Yamaha PW-X / PW-SE and Yamaha Syncdrive with Ride Control EVO / CHARGE display or Syncdrive Life.